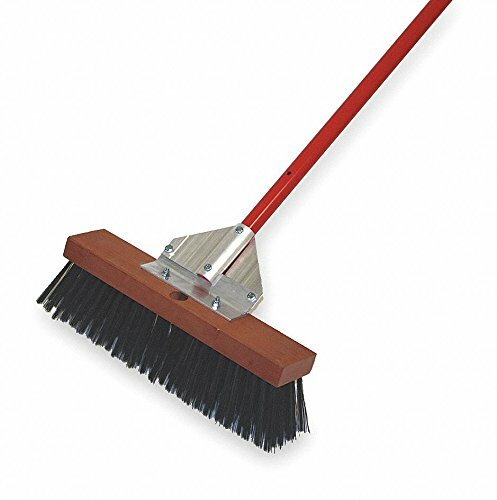 Steel wire broom has a gusset bracing system for aggressive scrubbing and cleaning. Includes a 60" bent powder-coated aluminum handle. Floor Sweeping Brush - 30" Long - High grade floor sweep for all smooth, hardwood and fine floor applications. Consists of a hardwood or foam plastic block set with 3" long bristles made from horsehair, polypropylene or polyester. 12 brushes per box.